Accredited TAFE Australia agents offer free international student services – with no hidden costs. Plan to study at TAFE in Australia with us, get advice on TAFE colleges, courses, student visa applications, accommodation etc. Send us your questions and we answer within 24 hours! Technical and Further Education (TAFE) is the Australian Government-funded vocational and technical training sector, and provides a very strong practical focus. Many teachers are employed in the field they teach, bringing the latest professional and technical expertise to the classroom. Almost all TAFE institutes offer pathways to study at Australian universities. The Technical and Further Education (TAFE) sector is the largest education and training provider in Australia. Offering an extensive range of programs across a broad subject range, their courses provide practical skills and training in a wide variety of career fields. Our team advises international students who want to study in Australia at a TAFE Institute or TAFE English language centre. TAFE institutes in Australia are government-owned and have a long history of helping international students reach their career goals. International students attend TAFE institutes to undertake courses that range from certificate to advanced diploma level. Many enrol in pre-university courses to better their chances for successful entry into an undergraduate degree at university, or in a vocationally based course to improve their employment prospects on their return home. English language training offered through TAFE provides the opportunity for students to improve their career prospects and also equips them for study at university. Full-time English language courses range in length from four to 48 weeks duration. Students can gain qualifications that are recognised throughout Australia and overseas. There is a wide variety of courses on offer. Strong emphasis is placed on practical and professional learning. There are different entry levels, with the opportunity to progress to higher levels. Small class sizes allow for individual attention. Strong links with industry associations mean that the skills taught are relevant to the major employment industries. TAFE has Certificates (four levels), Diploma and Advanced Diploma courses, all of which are fully nationally accredited, to qualify people for all kinds of jobs. TAFE provides training for a range of occupations and levels in all industries. Certificate I - IV: These courses are designed to provide introductory skills and training for a particular industry. They provide preparatory access, participation skills and knowledge such as literacy and numeracy, communication skills, working in teams, workplace technology, and industry specific competencies. Skills gained increase in complexity and personal accountability at each level of the certificate qualification. They vary in length from a few weeks to six or more months. Diploma: A diploma course will generally require one to two years of full-time study and prepare students for industry, enterprise and para-professional careers. Advanced diploma: An advanced diploma provides a high level of practical skills for employment in a specific career area, such as accounting, building design, and engineering. Considered higher than a diploma and a more specialised qualification, the courses vary in length from 18 to 24 months. By liaising with Australian universities, TAFE provides students with a number of education pathways for articulation and credit transfer. For example, students who graduate with a diploma from a TAFE institute may receive up to 12 or 18 months (two or three semesters) of credit toward a related university degree. There is also the added benefit of graduating with two Australian academic awards at the end of your degree. The exact amount of credit allowed towards a degree depends on the university, the degree course the student wishes to enrol in and the TAFE qualification completed. There may be significant variations from university to university on the amount of advanced standing that will be allowed. Consult the university international office, academic registrar or faculty dean to find out what credit can be obtained. TAFE is increasingly being seen as a way to increase your prospects in the job market. Due to the practical nature of the TAFE system their qualifications can be a valuable complement to your degree and increase your career prospects. Please note that course fees can vary widely depending on the course and location chosen and should always be sourced from the relevant TAFE institute. There are usually no entrance examinations to enter the TAFE system, but some courses will have prerequisite study levels and subjects or require demonstrated work experience. Students should also check with the individual college or institute for English language entry requirements. In addition, commencement dates can vary so it is important to contact each college or institute directly for further information. Apply now to study at a TAFE in Australia! If you want to enrol into Tafe in Australia, please contact us. Australian Education International (AEI) is the Commonwealth’s body responsible for promoting Australian education internationally, and supporting the Australian international education industry’s export efforts. AEI’s work is helping to establish Australia as a world-renowned provider of the highest quality vocational education and training (VET) courses to a large and increasing number of students from other countries. In contrast to the pattern of enrolments among Australian students, just under three quarters of international VET students in Australia are enrolled in private VET institutions. Around 6 in 10 international VET students in Australia are studying business, economics or administration. Around 2 in 10 are studying computer science or information technology. The vast majority (75%) of international VET students study Diploma or Advanced Diploma courses. Last year, international VET students contributed an estimated $800 million to the Australian economy in the form of course fees and expenditure on food, accommodation and other goods and services. Australia TAFE is a great place for international students to study. The quality of our education and training (with the advantage of courses being taught in English) is internationally recognised. We have excellent teaching and facilities. Australia is rightly perceived to be a safe, friendly, multicultural, modern and technologically advanced society. Study here is also relatively affordable. In addition, international students are attracted to study VET in Australia because it develops real skills required for contemporary workplaces and, very significantly for half or more of these students, because VET study is part of a recognised pathway to a university degree – the ultimate goal for the great majority of international students studying in Australia. The VET experience in Australia is a rewarding one for most international students. A survey undertaken by AEI in 1999 showed that 89% of international students completing a VET course were satisfied or very satisfied with the quality of education in Australia, and 86% would recommend or strongly recommend study in Australia to others at home. The internationalisation of our VET system brings a range of important benefits to Australia. The presence of international students enriches the study experiences of Australian students. It builds cross-cultural skills, a valuable commodity in the global labour market. It strengthens the foundation for global interactions and relations, in trade, politics and many other spheres of life. It improves the quality of VET in Australia in many ways – for example, by: exerting pressure to keep Australian institutions at the leading edge of innovation and quality assurance; enhancing the VET system’s capacity to respond to the special needs of people from languages other than English backgrounds; providing revenue which helps sustain a high quality national training system; and enabling VET professionals to internationalise their teaching and other skills, through developing programs which respond to international needs and, increasingly, through participation in projects offshore. For these reasons, international involvement has become an important part of the operations and outlook of Australian VET institutions. A clear indicator of this growing orientation is the fact that there are now over 500 Australian institutions delivering VET courses, and over 7,000 VET courses, registered on the Commonwealth Register of Institutions and Courses for Overseas Students (CRICOS). Australian VET has much to offer the world – and the benefits flow strongly in both directions. TAFE is the largest training provider in the world. Students from all over the world apply with us to get approved at one of the many TAFE institutions with the goal to get an international recognised qualification or even to increase the chance to immigrate to Australia. Brilliance of studying at a TAFE does not really end here. Students can enjoy practical learning of the subject they prefer to pursue as their career option. It is easy to get a suitable career quickly and effectively as vocational institutes help students to become job-ready quickly. TAFEs are government-owned institutes that provide vocational education and training (VET) to students who are looking for skilled job-ready learning. While universities offer in-depth theoretical learning of a particular subject, vocational training is more practical oriented. Although, both provide a certain level of theories and practical workshops, universities allow students to go for research work or further studies. TAFEs and non-governmental technical institutes or colleges offer structured learning where there is more interaction with the teachers, practical workshops, and industry-based training. Classes are smaller at vocational institutes where contact hours are predominantly more than that offered in a university. Technical colleges are basically financed by a non-government organization. Today, government-owned TAFEs have become well-known internationally. Consequently, admission is tough and fees are costly compared to technical colleges. There are fewer TAFE institutes than colleges in Australia but both of the education providers offer pathway courses to various fields. For instance, students can study further at a university and get a professional degree rather than taking up a job. There are other courses which branch out to specific skills, such as a Year 11 student can take up a course in business and then study Disability and Aged Care in year 12. Often, creative workshops allow students to get their work assessed by a peer review system. For instance, if you are studying photography at a photography institute, you can take part in education seminars and get useful comments from experienced pupils. It is also possible for meritorious students to take up a TAFE course and finally launch a company in the near future. A school-based apprentice, studying cookery at a TAFE found a useful way to pursue a career in commercial cookery. While studying the course, he got opportunities to take part in competitions and exhibitions. After few years, a successful student like him can easily open a restaurant near his locality. In short, studying vocational courses at a TAFE or a technical college gives you a lot of scope to get a high-profile career. It is also not necessary to study at a university to get a lucrative career. Many students during Year 11 take up a course at a Technical and Further Education (TAFE) institute. So, by the time they finish schooling, they have already acquired a certificate and traineeship on a subject. The students can further study at a university or take up a job. Find such options by studying at a TAFE in Australia. Inform our student counsellors for useful tips and suggestions. are known as either colleges or institutes, depending on the state or territory. Contact us and get feedback within 24 hours! to calculate your TAFE fees and daily expenses. to find the cheapest, best suitable courses. to understand your working rights. to learn more about the fee structure. We will be very honest to you and tell you upfront if you can afford to study at TAFE. Tuition fees for TAFE degree courses are charged on a per-course basis for international students, payable each semester. The tuition fees charged vary between courses. All TAFE fees and charges are reviewed on a yearly basis and are subject to change. TAFE Fees are different for each TAFE and course. Here we can give you some indications to calculate your fees. Please note: The below costs are estimates only. The tuition fee is payable in advance every semester. Your letter of offer from TAFE will explain payment details. Course fees include tuition, orientation program, additional study skills tuition, use of multimedia libraries, computers and other campus facilities, and assistance from student advisers and counsellors. An invoice will be issued to you upon TAFE receipt of your acceptance form, explaining the flexible terms available for payment of tuition fees. Course fees do not include the cost of textbooks, stationery, uniforms, accommodation, meals, health insurance cover or transport. Refer to other fees section below and individual course pages for costs related to specific courses. Develop your listening, speaking, reading and writing skills from beginner to advanced level at one of our TAFE English Language Centres. You can also combine an English course with another TAFE course so you will only need one visa. Tuition fee approximately A$200-400 per week. 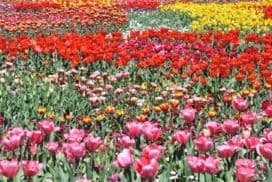 Please check with us for exact fees and special offers for your country. The university provisional offer will state the credit you will receive for the TAFE course, length and approximate costs of the degree. Health insurance, called Overseas Student Health Cover (OSHC), is compulsory for international students studying in Australia. This insurance covers you for certain medical costs if you need to visit a doctor or go to hospital while you are studying in Australia. Please let us know if you have already arranged OSHC, otherwise, we will arrange standard OSHC cover for you. We will invoice you for the insurance premium along with your tuition fees. As an example, the cost for standard OSHC is A$600 per year per single student. Health cover cards will either be delivered to you directly from your OSHC provider to your Australian address or via TAFE International. This process may take a few weeks. If you need medical attention before you receive your membership card, you should pay for the service and keep all receipts. You can claim a refund from the OSHC provider. You should check the policy carefully in advance, including the details of what is covered. Optional extra cover is available at an additional fee. Serious medical problems should be declared on your application form and taken care of before you come to Australia, as standard OSHC generally does not cover pre-existing medical conditions. TAFE Institutes offer assistance when you arrive at the airport. Staff can arrange to meet you at the airport and assist with accommodation. Uniforms, equipment and textbooks costs range from A$200 - A$2,500 per course. TAFE Institutes reserve the right to review its fees. If the tuition fees are increased, you will be required to pay the new fees as they are introduced. Please provide a certified copy of your recent bank account statement showing that you have this amount of money. Please give us any other information to help us to find suitable study options for you. A wide range of career training options is available to students at private Vocational Education and Training (VET) colleges. Typically they offer courses from Certificate to Diploma level, providing a practical 'hands-on' approach to teaching. Many VET providers offer pathways to study at Australian universities. Thousands of courses are offered through the Vocational Education and Training (VET) colleges in Australia, often referred to as Technical and Vocational Education (TVE) in other countries. 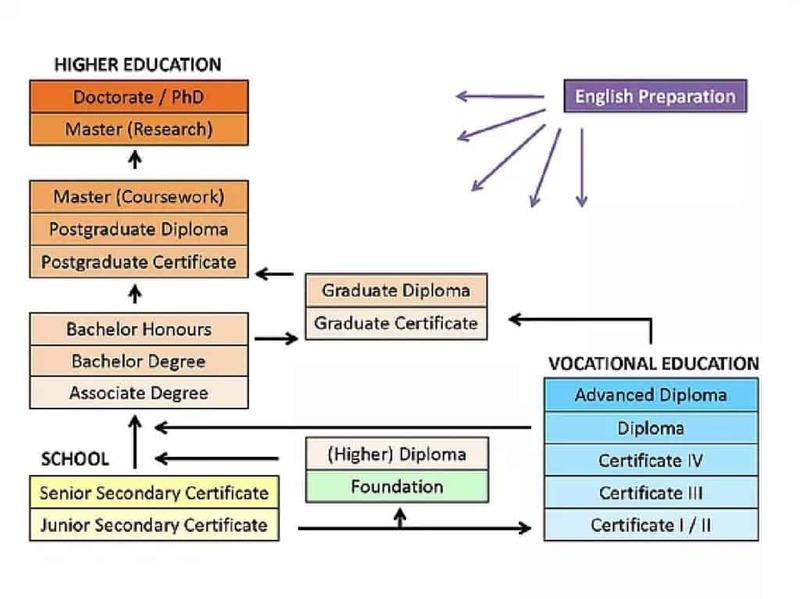 Qualifications gained through the VET system lead towards different career paths across a variety of diverse and exciting industries, ranging from business and fashion design to tourism and laboratory techniques. Temporary Student Visa for trade courses, vocational education and training at diploma and certificate level (VET). This temporary visa covers students studying at an Australian government funded technical and further education (TAFE) college. It is also possible to take VET courses at a private college, but it must be a college that is registered on the Australian Commonwealth of Institutions and Courses for Overseas Students. On this visa you may apply for a package consisting of a preparatory course, for example an English Language course followed by your main VET course. If you are applying for a package course like this, it is important to state this in the visa application. Student Visas only cost AUD$410, but there are many regulations and documents required by the authorities. Any organisation that offers accredited VET courses is a registered training organisation (RTO). These can include Technical and Further Education (TAFE) institutes, private colleges, businesses that provide structured training, and community trainers such as adult and community education providers. and issue a nationally recognised qualification. RTO's that wish to offer courses to international students must register on the Australian Government's Commonwealth Register of Institutions and Courses for Overseas Students (CRICOS). This protects international students, and ensures they receive accredited quality education and training. Australia's VET courses provide students with skills, called national industry competency standards, which employers have identified as critical to their work needs. These standards form the basis of assessment and students graduate as soon as they demonstrate their achievement. VET qualifications are generally perceived as providing more practical, 'hands-on' skills than the higher education system. *Please note that course fees can vary widely and should always be sourced from the relevant college or institute. There are usually no entrance examinations to enter the VET system, but some courses will have prerequisite subjects or require demonstrated work experience. Students should also check with the individual college or institute for English language entry requirements. In addition, commencement dates can vary so it is important to contact each college or institute directly for further information. Trainers that want to offer courses to international students must register on the Australian Government's Register of Institutions and Courses for Overseas Students… this protects international students, and ensures they get what they have paid for. TAFE has invited applications from international students for its short courses on various industry-required skills. Often, the courses are expected to be tailor-made as per the requirement of a particular organization. The courses would allow students to get hands-on experience required for that particular organization and finally, get a job in the firm. Check with our student adviser for details, such as course fees, qualifying conditions, and start dates. TAFE Australia offers international students, graduates and industry professionals a comprehensive range of programs and services equal to or better than any in the world. Gain career-relevant skills and get qualified faster through TAFE courses, the largest vocational education provider in Australia. TAFE colleges generally award qualifications up to the level of advanced diploma, which is below that of Bachelor degree within the Australian Qualifications Framework. In many instances TAFE study can be used as partial credit towards Bachelor degree-level university programs. 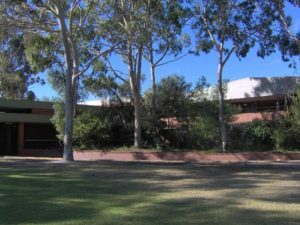 Some TAFE colleges confer their own degree-level awards, though not beyond the level of Bachelor. TAFEs in some states can also teach senior high school qualifications. Free Service and Information for international students. Australia's Vocational Education and Training (VET) system is often referred to in other countries as Technical and Vocational Education (TVE). 125 institutions deliver training that is both practical and career-oriented in the fields of computing, business studies, marketing, tourism, hospitality and in many more areas. Students can develop their own career path through study and a mix of study and work. VET courses are provided by both public institutions called TAFE Institutes, and also private colleges. All institutions and colleges are subject to Government monitoring to ensure the highest standards of education. Our vocational education advisor will help you make the first step. Australian VET graduates are able to seek employment with the knowledge that their skills are those in high demand by employers. Under Australia's national qualifications framework, graduates can also progress into higher level courses including entry into universities for Diploma and Bachelor degree courses. Australia's VET providers offer a wide range of training options in the fields of computing, business studies, marketing, tourism and hospitality. The qualifications offered at vocational education and training institutions are Certificates I-IV, Diploma and Advanced Diploma. They meet national industry standards and will prepare you for employment in a host of occupations or further studies. Almost all Australian secondary schools offer vocational education programs in addition to the standard school curriculum. These programs are based on the same competency test and lead to a recognised national qualification. Many institutes also provide accredited English language training and Foundation Studies for entry to University Diploma and Bachelor Degree courses. Vocational Education Australia tuition fees vary from AUD$5,500 to AUD$18,000 per year. Anyone who says that you get what you pay for obviously hasn’t dealt with AA Education Network. We provide a comprehensive service provided free of charge to international students seeking to transfer their studies to Australia. Free doesn’t always mean inferior; listed below is an outline of the comprehensive process we go through once you have contacted us. Our job begins with providing you all the information you’ll need to choose a TAFE and appropriate area of study. We take into consideration your educational background and preferences and make you are aware of all the options that are available to you, so that you can make an educated choice. Now that you’ve chosen your TAFE course, AA Education Network really gets to work. We take care of every step of the enrolment process. We will copy and certify all your relevant documents, arrange any necessary English language tests and even post it away for you, saving you the cost of international postage. AA Education Network additionally provides translation services and on-going support following submission of forms. As a registered educational agent, an application form submitted through AA Education Network is fast tracked, and usually yields a response within twenty four hours. Your TAFE will contact us with an offer of placement. Once we receive that offer, we will send you a pack that includes the original Offer of Place, brochures and information about your new TAFE and visa assistance information. We can help you with visa applications, extensions and renewals. We provide assistance on all levels, so whether you just want to understand the process a little more, or need assistance with the completion and lodging of your forms, AA Education Network is behind you all the way. We also provide information on the conditions of your visa, such as the limitations of working hours. Now that you’ve got all the big stuff underway, you’re probably going to start worrying about the seemingly unimportant things, like will I find a job? What if I get homesick? Can I bring a pet with me? AA Education strives to answer all these questions for you, either through the information presented on their website or in personal correspondence. Before and during your stay, your AA Education Network team member is a mere e-mail away. A small example of some of the things they can help you with include, but are not limited to, arranging travel and medical insurance, opening an Australian bank account, finding suitable accommodation and organising student discounts. Our job doesn’t finish as soon as you arrive in Australia. Throughout your stay, please feel free to contact us with any thoughts, issues or concerns you may have. You will probably have a thousand questions about various cultural differences, and we’re here to answer them for you. At all times, your AA Education Network representative is just an e-mail or a phone call away. Official certified English translations for all documents in another language. A certified copy of a document is a photocopy of the original that has been certified as a true copy by an authorised person. When you provide us with a scanned copy or photocopy of a document, it must be certified. All pages of submitted supporting documents must be certified. We help international students to understand the TAFE Entry requirements. Your qualifications, knowledge, skills, experience and attributes will be considered for entry into a course. We advice you how to show evidence that you meet the entry requirements when you enrol in the course. Remember, each person is considered a valid student at TAFE, regardless of age or experience. Some courses have very specific mandatory conditions such as licensing or regulatory requirements. When you register with us for a TAFE course, we'll send you the entry requirements for the course which are clearly displayed in the course information. Student visas are issues to full-time registered international students with a multiple entry visas issued for travel to and from Australia within the visa issue period. Dependents need to apply for a visa too. Your family members' visas are subject to a number of visa conditions that they must comply with. School-age dependents will be required to pay school fees if studying in a Australian school. Depending on your nationality, the Australian Department of Immigration and Border Protection might accept only an IELTS result as proof of English competency for student visa purposes. If you do not meet the English competency requirements, you can choose to study intensive English at a TAFE English Language Centre before you start your course. We offer you the best options to get prepared for your IELTS test. Contact our team to find out about your options! The minimum age for TAFE students is different in every state or territory; for example 16 years for TAFE Queensland and 15 years for TAFE NSW. This is offered as an alternative to Years 10 or 12 to mature students who are required to be at least 18 years of age with relevant work experience. 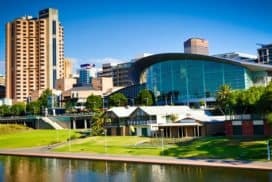 Why Study at TAFE in Australia? Why study with TAFE Australia? TAFE Colleges offer over 12,000 courses that are recognized internationally and are of world class standards. 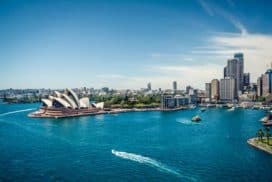 The tuition fees and living costs to study in Australia are comparatively lower than in most other countries, with quality tuition being more affordable than in the United Kingdom or the United States of America. International students in Australia enjoy a level of service and financial protection that is unrivaled anywhere in the world. Join a dynamic multicultural society in which students can learn and travel in an English-speaking country. International students can work in Australia up to 20 hours per week during semester, and full-time during vacation periods. International students who complete a diploma with a TAFE institute may be entitled to enter directly into second year university degrees. International students can get free study in Australia services. With the huge and ever growing number of education providers in Australia, choosing which type of institution to study with can be daunting. However, if you are looking for clear pathways into the workforce or higher education there are many advantages for international students to be found in studying through the "Australian Technical and Further Education System (TAFE)". Why apply for an TAFE course? Australian VET graduates are able to seek employment with the knowledge that their skills are those in high demand by employers. Under Australia's national qualifications framework, graduates can also progress into higher level courses including entry into universities for Diploma and Bachelor degree courses. The qualifications offered at vocational education and training institutions are Certificates I-IV, Diploma and Advanced Diploma. They meet national industry standards and will prepare students for employment in a host of occupations or further studies. TAFE is a government-owned and nationally operated system of colleges. TAFE is offering qualifications that are recognized and transferable internationally. The focus in TAFE is on hands-on, practical training with key competencies worked into every course that are thought to be essential for people entering the workforce. Courses are developed in consultation with business and industry to ensure the skills are relevant and in demand. Studying at TAFE also provides a pathway to university education where Diploma graduates can receive up to one or two year's credit towards a related university degree, through a system of credit transfer arrangements established with universities across Australia. To ensure that students get the most out of their study experience TAFE colleges also offer a broad range of student support services. From orientation and activity programs to assistance with housing and counseling, TAFE colleges aim to offer a secure and supportive environment to all students. TAFE Australia stands for Technical and Further Education and is used and recognised nationally throughout Australia. TAFE Australia provides vocational education and training. Each Australia TAFE campus provides a range of courses with its own specialisation. TAFE is the largest education provider in Australia, with: campuses, learning centres and Aboriginal Access Centres in all locations. TAFE Australia - Australia TAFE If you want to enrol into Tafe in Australia, please contact us. Australian qualifications are recognized by other countries and Australia as a part of The Australian Qualifications Framework (AQF) as AQF qualifications are approved by Australian Government. The Australian Technical and Further Education (TAFE) provides nationally and internationally recognized qualifications in one or two year courses with hands-on and practical training. TAFE courses also guide on to university with credit transfer and advanced standing for six months to two years. TAFE course’s classes are quite small and provide an opportunity for individual help from teachers. Australia has a well-developed education system with a wide range of education options. There are currently over 12,000 courses and all courses are world class standards. Studying in Australia is safer and more affordable than other countries. As a result of these advantages the numbers of international students in Australia are increasing. There are currently over 200,000 international students in Australia. If you are from Germany, Austria or Switzerland - YES, we speak German! Australia justifiably commands an enviable share of overseas students wishing to pursue training towards careers in their chosen fields. There are a wealth of positive advantages and sound reasons for studying in Australia especially within the VET- vocation educational training sphere. From the top down, the Australian government has a vigorous array of programs and initiatives aimed at inviting foreign students to Australia's shores. AA Education Network - is one of these related entities that is mandated with establishing Australia at the forefront in attracting overseas students to a first rate level of education. The international standing and recognition of an Australian degree or diploma cannot be overstated and is the backbone of why so many overseas students choose Australia. The excellence and high quality of the training in VET fields equip the student with the highest possible prospects for not simply employment, but with a viable, sustainable career in the workplace. The fact that Australia today is literally a multicultural society means that the wide diversity of the population is a positive plus in the student environment. 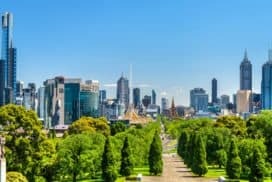 The Australian economy and culture are near legendary in certain ways and in truth, it is close to reality in everyday life with an affordable high standard of living the envy of the free world. This culture is additionally blessed with a society relatively free of much of the deep strife seen in other parts of the world. 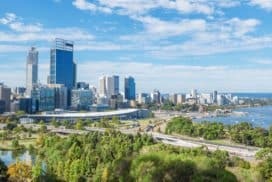 Although most students choose New South Wales to pursue their studies, that state as with all Australian states have a warm climate so much more familiar to most of overseas students where the cold winters common in Europe and North America are unknown. As an indication that Australia is serious about encouragement from the government, to overseas VET students particularly it should be noted, it supplies a Skilled Occupations List – SOL. This is a government initiative that identifies the industries and sectors most 'at need' for employment. If students are considering pursuing a career within Australia, it is an advantage to place ones self on that roll as a student aiming with-in one of the needed job sectors. 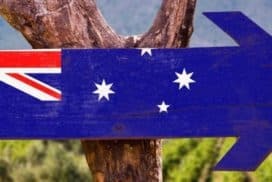 While it guarantees no deal signed upon commencement, it shows all prospect employers the student had their sights set accordingly at the outset and bodes well for a job with-in Australia itself. The SOL is a neat 'tip-off' as to where the economy is headed and the probable needs sustainable into the foreseeable future. 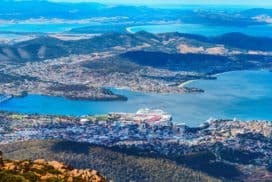 Few countries can have as many programs and incentive initiatives that assist the overseas student as much as Australia has - and all with-in one of the most iconic, beautiful settings on earth. To take advantage of our latest discounts on TAFE Australia, please contact our qualified team! Don't miss out for 2019. We are accepting now international student applications from all over the world. As we are getting closer to the peak period for next semester we would like to kindly remind you to submit applications as soon as possible. Here are some tips to remember when submitting your applications and requesting COEs to avoid delays in the process. International students should plan to contact us well in advance of the application close date to be able to receive our free services. The acceptance expiry date is soon and students must return their signed acceptance of offer, make payment and meet any conditions stated on their Offer letter. Applications received after the application close date may be offered a deferral to the next available intake. Please submit the complete international student application now and get the process started! We can help you to lodge in your application for TAFE Australia, please contact our professional team for more information! TAFE degrees will equip students with a high level qualification and the practical, industry recognised skills to help them succeed in the future. Contact our team to find out more about our degree programs.